Devolver Digital has just announced a new open world survival title called Scum. Scum's narrative is based around a Prison Riot. 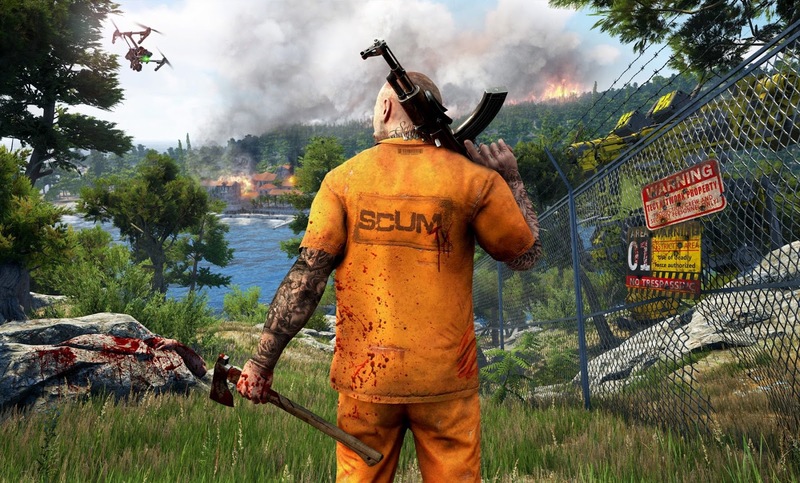 "SCUM evolves the multiplayer open world survival game with unprecedented levels of character customization, control, and progression where knowledge and skills are the ultimate weapons for long-term survival. Players will balance base level needs with knowledge-based skills to manage everything from nourishment, metabolic rate, and body mass to weapons proficiency, combat style, and security systems hacking. Dominate the island with your skills, cunning, and strategies to achieve higher levels of game and receive powerful gifts from corporate sponsors and, if you happen to slip up and die, get resurrected by the show’s producers with all your valuable skills still intact." No other details are available other than the game is being co-developed by Croteam Serious creators of Sam and Gamepires.